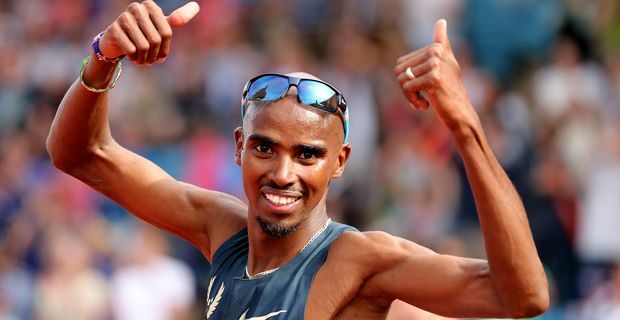 Mo Farah proved he is back to his best ahead of the World Championships. Running over the unfamiliar distance of 1500 metres at a Diamond League meeting in Monaco, the double Olympic champion smashed a 28 year-old record for the distance and ran the sixth fastest time in history. It was an impressive demonstration of Farah's versatility. Farah's time of 3.28.81 beat Steve Cram's long-standing British record time. Remarkably it still wasn't enough to win the race. Kenyan Asbel Kiprop won in 3:27.72, the fourth fastest time in history, but Kiprop is a 1500 metre specialist, winning Olympic gold in 2008 and the world championship in 2011. Farah was happy about the warm-up for the world championships in Moscow. "I'm really excited," he said. "I'm probably a lot further on than I was last year. My aim is to step up a bit. I just want to keep winning medals and doing well for my country." The 1500 metre race was an opportunity for the distance runner to work on his finishing speed. "It would have been nice to get close to Asbel but he is different class," Farah said. "He just had another gear. Running the 1500 metres was a big shock to the system because I am not used to running that speed." Asked about the image of the sport, Farah was disappointed by the recent positive drugs tests for sprinters Tyson Gay and Asafa Powell. "You don't want to hear anything bad because I love my sport," Farah said, hoping that the public would not become cynical about elite athletes. "It would be nice for people to see how hard we work and how much I put my body through. I put in 100-plus miles week in week out." The world championships may be Farah's last major championships on the track as he wants to turn his attention to the marathon in 2014.